Web designers sometimes allow themselves to be undervalued by employers. That goes double for freelancers. Knowing your value and believing you’re worth more than the bottom-feeding wages employers and clients might offer are the two most important things you need to keep in mind when negotiating your web designer salary. It’s what will keep you from accepting the first number that’s thrown at you simply because it’s more than what you make now. 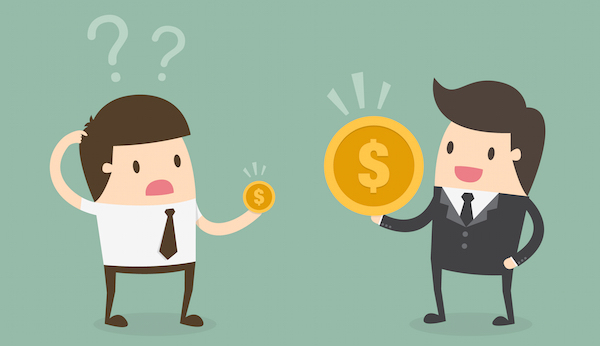 There’s a lot more to negotiating salaries than knowing what your skills are worth. Salary positions come with a lot of benefits. You might wind up leaving money and perks you’re not even aware of on the table simply because a potential employer doesn’t mind taking advantage of your lack of experience with company positions. That’s why we’re going to go over a few things you need to consider when negotiating salaries with agencies and in-house teams. These aren’t clients who need a web designer to build a website for them. These are employers who have experience in hiring web designers. That’s why we’re also going to go over what you can do to set yourself apart from the rest of the staff and other candidates. Let’s get started. Salaries are based on three main factors no matter what decade it is. Those factors are: your position, the amount of experience you have, and where you live. Your position is a huge factor in determining what your potential salary might be. What role do you feel you would serve best in a team? You’ll no longer be a one-man band. Do you do your best work on the front-end of things? Are you more of a back-end kind of designer? Do you like visuals best? Do you know a lot about marketing and how to incorporate that into projects? All of these play huge roles in your starting salary with a company. The amount of experience you have under your belt plays another huge role in salary negotiations. Experience is calculated by the amount of education you have, the amount of industry experience you have, as well as the weight of your portfolio. Do you have degrees and certificates to back up your claims of what you say you’re skilled in? Do you have testimonials from past clients to prove your skill even further? Do you have an impressive portfolio filled with your most recent and best projects to solidify your claims? These are what you’ll use to prove your experience. Your experience, knowledge, and history of reliability may be a huge factor in winning a position. There are a lot of younger candidates who are willing to work harder for much less pay than you. You don’t need to be trained, and you’ve proven you can deliver well-designed products time and time again. Keep this in mind if you find yourself competing with the younger generation. The third main factor in determining salary is location. Cost of living changes per city. It costs more to live in New York or Los Angeles than it does in a smaller city close to the suburbs. If you want that dream salary or position, you may need to consider moving closer to a bigger city if you don’t already live near one. These are the main factors that affect salary prices, but let’s take things a step further and talk about the perks that come with salary positions and how they can affect the salary you and your potential employer agree upon. Salary positions are a great way to earn a predictable paycheck weekly or bi-weekly, and they’re a lot more stable than freelance positions. To top things off, working for a company as an employee has a major perk over freelance positions–benefits. And they affect salary as well. They may not always affect your salary’s total, but they will affect the amount of things you need to negotiate on. These include health insurance, time off, flextime, and telecommuting opportunities. You should already be factoring health insurance into your expenses as a freelancer, so refer to your current plan when negotiating. Health care costs are divided unevenly between employers and employees. Take this into consideration if your employer expects you to pay a large portion of your health benefits yourself. You need to negotiate a higher salary if he does. Time off is another part of the negotiation process. Time off comes in the form of vacation days, sick days, holidays, and parental leave as well as whether or not these will be paid. You may also want to look into flextime and telecommuting options as a web designer. Between Google Drive and Dropbox to collaborate outside of the office, as well as the probability of you already owning your own tools and equipment at home, there may not be much of a reason for you to stick to a strict 9-5 work schedule. Keep this in mind if flexibility is important to you, especially for current and future parents out there. Keep all of these things in mind, and decide which benefits are most important to you before entering negotiations. Start with your current annual earnings as a freelancer, but don’t accept the same amount or less from a potential employer. You cover everything yourself as a freelancer, but take advantage of the benefits that come with being an employee as well as the ability to raise your salary to cover gear, tools, and overhead expenses. These are great starting points, but don’t stop there. There’s no such thing as a “I do this, so I make this” rule when it comes to your web designer salary, no matter what you’ve been told. Every company pays different salaries based on different factors, and every company offers a different set of benefits. Do a bit of research on the agencies you plan on applying to before entering negotiations. Start with basic research, such as looking up the company’s profile on Glassdoor. This site features reviews from past and current employees as well as a number of different reports on what salaries the company offers and how those salaries have changed over time. Take this a step further and reach out to past and current employees. Consider connecting with them on LinkedIn. Make sure your initial email is friendly, brief yet descriptive. Keep any conversations that follow polite and professional. What you’re looking for is information on what types of salaries and benefits potential employers offer new employees as well as which factors it takes into consideration when determining pay. If you’re young, see how the agency treats skilled yet inexperienced employees. If you have years of experience under your belt, make sure the agency favors having a reliable employee who has proven his skill and expertise over a cheap one. Be specific when discussing the position you plan on applying for. If you learn the agency has had trouble finding someone that meets the criteria for a specific position, keep this little tidbit in mind when negotiating. You know they can’t afford not to have you on board, and that’s powerful. Make sure you also use this research to gauge an agency’s turnover rate. Salary negotiations mean nothing if they let employees go quite often. 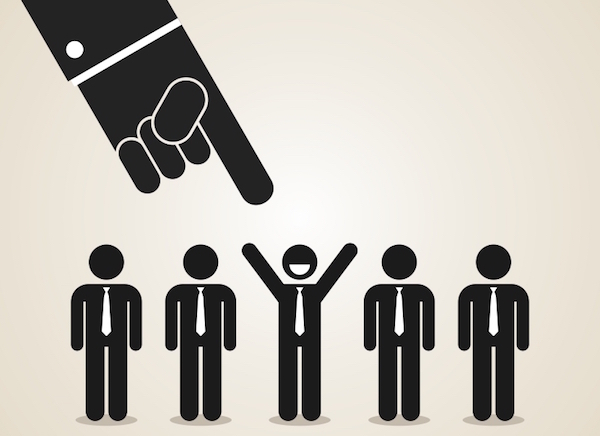 Do you best to steer clear of employers with high turnover rates. Many web designers tend to focus on looks and functionality when it comes to building websites, and rightfully so. However, you need to consider the client’s purpose for building a website in the first place, which is typically to attract customers. It doesn’t matter how well-tuned your designs are if they don’t drive sales for your clients. Making sure you’re skilled in content marketing, sales copy and other areas of online marketing could be your X-factor. Sure, other designers on the team know how to design well-made products that look stunning, but can they do so in ways that increase clients’ revenues? If you’re a freelancer, you may also consider using your ability to land clients as your X-factor. Maybe you’ve proven your negotiating skills time and time again, which demonstrates how well you’re able to persuade clients to agree to projects. Maybe you have a long list of clients your potential employer can tap into. The bottom line is you’ll be joining a company with plenty of designers on hand. These designers have all of the same skills you do. What unique skills do you have the agency can’t afford to do without? You’ve researched a lot of companies. You’ve applied to a few. You’ve had interviews with a handful, and now you’re about to enter negotiation talks with a couple of them. Let’s go over a few things you need to watch out for to ensure you’re not being swindled. As mentioned earlier, don’t agree to the first number you hear simply because it’s higher than what you’re currently making now. You may lose your stance in the negotiation process if you appear too eager. Be thankful, but don’t back down easily. With that being said, you also need to make sure you’re not pushing too hard. Hiring managers know what to expect when they enter negotiations. They know candidates aren’t going to accept the first offer, but they may get a little taste of how difficult of an employee you might be if you negotiate too hard. Some employers may offer a low starting salary but promise to pay more as the amount of time you work for them increases. This goes back to our number one rule – don’t accept less than what you’re making right now. You’re worth more than that. You should also consider the company’s turnover rate when deciding whether or not to accept these types of salaries. If a company’s turnover rate is high, its promises to increase your salary in the future are meaningless. If all of the numbers you’re offered seem low, this is where your benefits package comes into play. Having an employer take care of the bulk of health care coverage costs, offering plenty of time off and other benefits are all things you should consider working into your salary if an employer seems set on offering a salary that’s lower than what you desire. If an employer still won’t budge, fixate on your X-factor. If you’ve got something no other designer in the city can offer, and you know this agency needs it, don’t crumble so easily. You’ll be a valuable asset to their company, and they need to treat you accordingly. According to a survey by Salary.com, only 37% of individuals in the job market negotiate their salaries for every position or promotion they receive. 44% negotiate occasionally while 18% never negotiate. Fear and the feeling of lacking the necessary skills to negotiate are the two main reasons people don’t negotiate for the salaries and benefits they deserve. The site also states failing to negotiate your first salary with a company may make you miss out on over $500,000 worth of income by the time you reach 60. Negotiating can be an intimidating process, but don’t let that intimidation make you miss out on proper compensation. Things aren’t over once you and your future employer agree on a number and a set of benefits. Now you need to make sure your employer sticks to his end of the bargain. Do this by getting your agreement in writing. Don’t be so quick to end negotiations in a verbal agreement. If your employer fails to provide the benefits or salary increases you were promised, you may have a hard time fighting him on it with nothing but a verbal agreement between you and your hiring manager to back you up. Time off – exact number of days, paid sick days, etc. Having this agreement in writing is a simple way for an employer to heighten your confidence in him, and it protects you from fearing your hard work and the unique flare you bring to a company may be taken for granted. Working for an agency or an in-house team is a great opportunity for you to focus on what you love doing best – designing. Freelancing and owning your own business comes with a lot of freedom and rewards, but you can’t deny the simplicity of only needing to worry about getting projects done rather than having to worry about technical business details. However, don’t use that as an excuse to let a potential employer talk you into earning less than what you’re used to unless he’s promising more benefits than what you’re used to. Make sure you have something unique to bring to the table, and don’t let a potential employer take you for granted if you do. Have you ever worked for an agency or in-house team? What was the hiring process like? 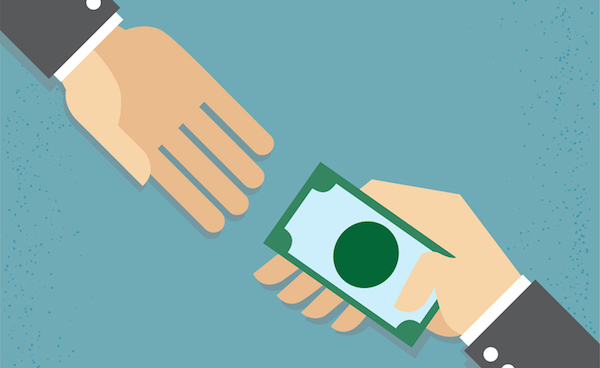 Did you negotiate your web designer salary? Are you a freelancer who’s thinking of joining an agency? Let us know in the comments below. Lyn Wildwood is a freelance blogger and avid WordPress user. She loves sharing new tips and tricks with the WordPress community. She especially loves helping solo bloggers and small businesses understand the CMS as well as this whole "online marketing" thing better. Excellent article. Been in the industry for 15 years and nevert read something like this. I’m a recruiter for technical and engineering positions, and the last point in this article – get the agreement in writing – is absolutely essential. Never start work without a contract or at least an offer letter with the terms of employment. Another good thing to ask about is the company’s employee performance appraisal programme. If the company has never heard of such a thing, that’s a little red flag.